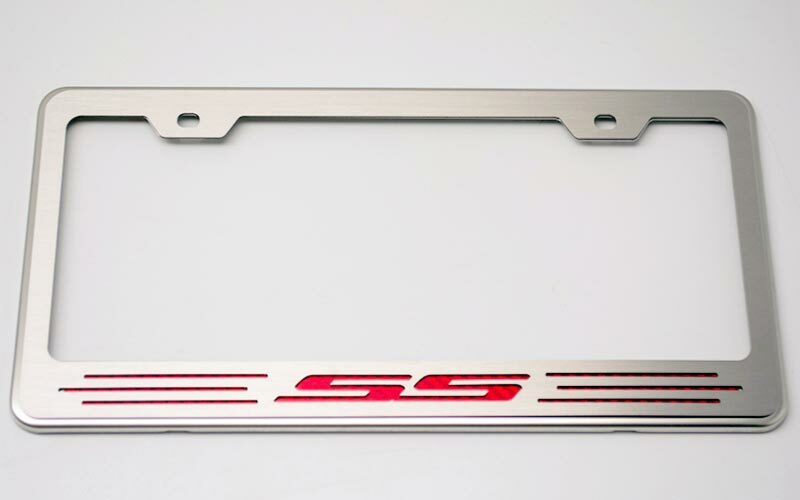 New RS or SS logo license plate frames with carbon fiber or color inlay for Camaro at PFYC - PartsForYourCar! Swap out the dealer's cheap plastic license plate frame for a nicer one with your choice of logo and color. Made from brushed stainless steel in the USA, this quality, hand-made frame comes with the vinyl logo pre-applied and is ready to bolt on with just hand tools. The frame will never fade, tarnish, or rust.